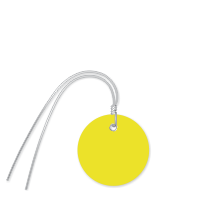 Print your required information on this writable, printable yellow colored 2 inch Circular Tag which comes with a pre-attached wire for easy installation. Suitable for a range of applications, the product is made from Polylith synthetic polypropylene which ensures high durability. 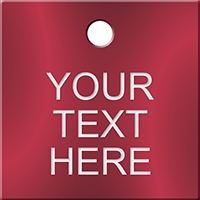 • Made from 10 mil (.01") Polylith synthetic polypropylene, these tags combine the durability and tear-resistance of plastic with the printability of paper - making them far superior than conventional cardstock tags. • The matte finish, mineral-reinforced polypropylene is an excellent candidate for a range of applications where durability, strength, moisture, chemical resistance and superb printabillity are required. 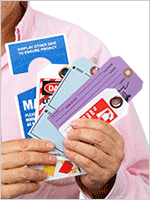 • Great for outdoor and indoor use, tags can withstand extreme weather and are UV stable. 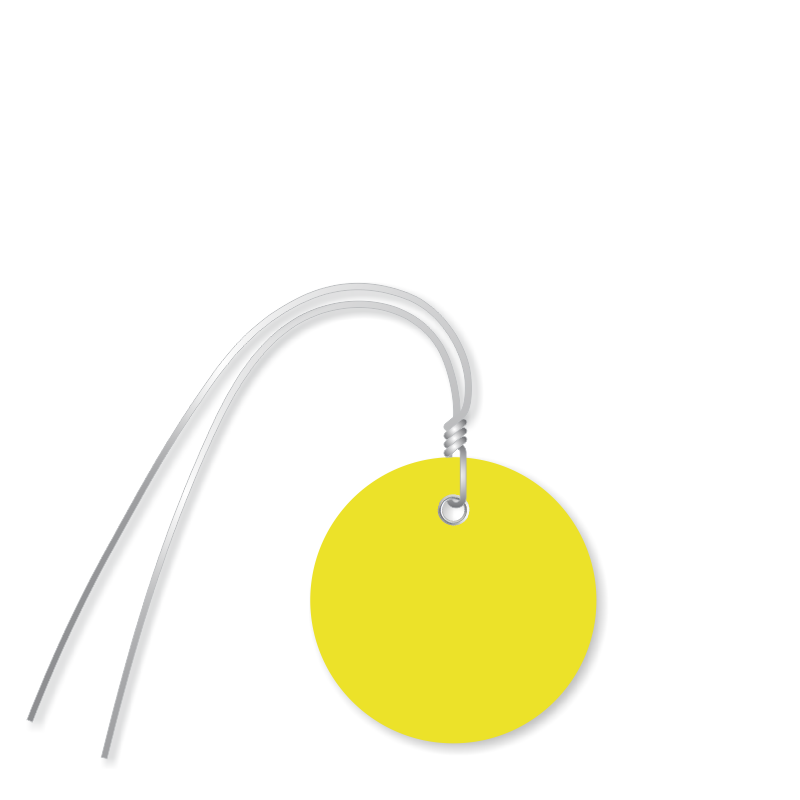 • Tags have a reinforced metal eyelet that measures 3/16" for increased pull strength. • Available in a variety of colors making them great for inventory control, color coding projects, key tags, price marking, identification tags, part tags, and much more! 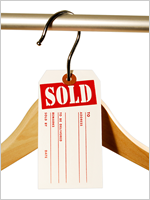 Custom Tags - Paper, Plastic, Tyvek, Metal Tags and More!